It’s hard to say what’s going to happen tonight as the big story coming out of Raw is the return of Sting, who I can’t imagine is going to be here tonight. 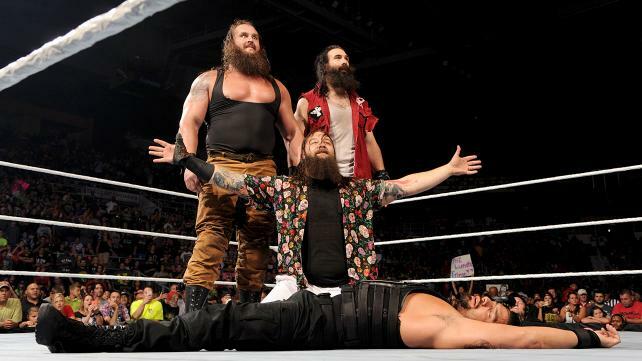 There’s always a chance of some fresh Wyatt Family stuff, as this show has become the main ground for the Shield vs. Wyatts feud, which isn’t the worst thing in the world. Let’s get to it. We open with a clip of the Dudley Boyz returning on Monday. Here are the Wyatts with something to say. Shocking I know. Harper talks about our eyes and ears being shut by the lies we’ve been told. We’re all dead and we don’t even know it but Bray Wyatt’s truth will give us new life. Bray says he doesn’t just throw out words like brother because family means everything to him. Sister Abigail has given him so much in this life and just when he thought he had nothing left, she provided him a savior. That’s what being a family is all about. Abigail’s eyes light up when she talks about Braun Strowman and now it is time. Cue Reigns and Ambrose with the former saying it is what it is. That wasn’t the first time they’ve been whipped so if he and Dean are going down, they’re going down swinging. Ambrose: “I’ll take the ugly one.” There are always points in a Teenage Mutant Ninja Turtles line, intentional or not. Strowman is ready to go but Bray calls his men off and leaves. Bubba takes Konor into the corner to start and asks if he knows who they are. D-Von comes in and runs Konor over but gets kicked down into the corner. It’s quickly back to Bubba for the Flip Flop and Fly, followed by What’s Up. Bubba calls for the tables but Konor breaks it up. The attempt, not the table. Back in and Ascension gets in a little offense, including a jumping knee to Bubba’s face. Not that it matters as a quick clothesline allows the hot tag to D-Von for some house cleaning. Bubba comes back in off a blind tag and 3D ends Konor at 5:10. Rating: C-. This was fine and just a way for the Dudleys to show that they’re back. There’s nothing wrong with running through your old standards before they come back with the bigger stuff later on, especially considering they’re probably going to get a title shot at Night of Champions. Post match it’s table time but New Day comes out with signs, including “Save a table, break a Dudley” and “hashtag give tables a chance.” Viktor gets powerbombed through the table and New Day panics. This could be good. The threat of a kick to the head sends Owens into the corner and a headscissors puts him on the floor. Neville misses a baseball slide though and Owens blasts him with a clothesline. Back in and a torture rack neckbreaker (cool move) gets two for Kevin and we take a break. We come back with Neville fighting out of a chinlock and striking away, followed by a missile dropkick for two. The German suplex sends Owens to the floor but this time Neville is smart enough to duck the clothesline. Instead it’s a superkick to set up the Red Arrow but Owens rolls away before it can launch. The Pop Up Powerbomb ends Neville at 8:19. Rating: C+. The match was fun while it lasted but there’s only so much they can do with less than five minutes of the match actually airing. It’s nice to see Owens getting back to back wins, but I’m worried about where Neville is going. There’s only so much he can do, but the hero character could take them somewhere. The Bellas get catty with Team PCB over Paige being the leader but never showing up because of Tough Enough. A tag match is set up for later. High school style drama: empowering women around the world. Team BAD is on commentary because Heaven forbid all of these teams aren’t in the same place at the same time. Jimmy has recused himself from commentary to avoid a personal conflict. Nikki and Charlotte get things going as BAD rips on the Bellas for their singing on Total Divas. As usual, I love that something that happened two and a half months ago on Total Divas (some of it happened backstage at Battleground) is never mentioned until after the show aired. A double dropkick puts Nikki down so it’s off to Brie, who gets her head slammed onto the mat. Back to Charlotte who misses a knee to give Brie a target and one of her kicks actually connects for a change. A leg lock doesn’t get Brie anywhere so Charlotte kicks her out to the floor. Everything breaks down as Nikki pulls Becky off the apron, leaving Charlotte to roll Brie up in the Charlotte’s Web for the pin at 3:15. Rating: D+. I’m sure this means the Bellas are mortal and PCB has the momentum now or something, even though there still seems to be no advancement in this story. The Divas Revolution continues to be nothing more than a way to drag new Divas in so the Bellas can have fresh names to go over in the end. I had some hope that things would turn around with Summerslam ending but the first week is the same as all the previous ones: meaningless matches taking place while Nikki gets closer to the record. Here’s Seth Rollins to address what happened on Raw. This Monday was supposed to take him from legendary to immortal. He mentions cashing in at Wrestlemania and being the first man to hold both titles at once (save for Goldberg, whose titles don’t count I guess because all those titles being unified only counts when they want it to. I like it better this way though as the idea of the World Heavyweight Championship being the NWA/WCW Title was one of the most ridiculous things even WWE had ever tried to pass off). Actors should be fighting to play him in his biopic. Here’s a clip of Sting’s unveiling and subsequent beating. Rollins brags about being on top of the mountain while Sting has spent years down in the minor leagues. So why does Sting think he can ruin Seth’s moment without provocation? Rollins is going to finish what HHH started at Wrestlemania when the Architect faces the Artifact. This got better as Rollins kept going but that’s the problem: it felt like he was still going for the sake of going, not because he had anything else to say. 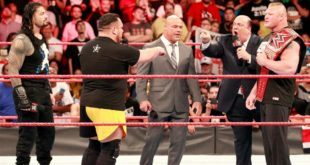 That’s a major problem with so many WWE promos: they’re designed as one size fits all, but not everyone speaks the same. Look at this one for example. Rollins could have cut this in half and said the same thing. Orton is the same way. He has to talk forever when it’s clear that he’s covered everything in a fraction of the time, but WWE has decided that this is how you do promos and everyone has to be the same. Sheamus says he’ll kick Ambrose’s head off tonight. Ziggler gets knocked off the apron but the distraction lets Ryback score with a spinebuster. Off to Ziggler vs. Big Show and the giant gets put down with the swinging DDT. A superkick gets two but the Fameasser is countered into the Alley-Oop and the KO Punch knocks Dolph out. Rusev tags himself in though and slaps on the Accolade, only to have Show KO his partner. Show walks past the black hole that Ryback has fallen into as Ziggler covers Rusev for the pin at 10:16. Rating: C-. So I guess Big Show is a face again. That guy turns more often than I have to change the oil in my car so he must have been overdue. Big Show vs. Rusev does nothing for me, but I think I’d rather see that instead of forcing myself through another Lana/Ziggler love fest. Clips of the end of Undertaker vs. Lesnar and Brock leaving Bo in a heap on Monday. Video on Jon Stewart screwing John Cena at Summerslam and Monday’s fallout. Ambrose and Reigns try to figure out what Sheamus means by respect the hawk. Sheamus better learn to respect Dean’s fist and his boot. Reigns will take care of the Wyatts. Now I know the Wyatts are either going to run in to end the match or just after it’s over, but how refreshing is it to not have Dean fighting one of them for a change? Ambrose vs. Sheamus isn’t the most thrilling match in the world, but I’ll take it over Dean vs. Wyatt or Harper again. Sheamus takes over to start and dumps Dean to the floor to turn it into a brawl. Dean comes right back by throwing him inside for a clothesline to take it back to the floor, only to be sent into the barricade as we go to a break. Back with Sheamus kneeing him down onto the apron and slamming him out of a suplex. The Brock Lock doesn’t make Dean tap out so he pulls himself up, only to get planted with a sitout powerbomb. Six forearms to the chest have Dean in even more trouble but he gets in some forearms to Sheamus’ chest to even things out a bit. A big clothesline drops Sheamus and Dean is all fired up. The bulldog out of the corner sets up la majistral of all things to give Ambrose two. Dean’s suicide dive connects and another big clothesline knocks Sheamus silly. Of course we’ve got Wyatts and the distraction sets up the Brogue Kick for the pin at 11:31. Rating: C+. I liked this more than I was expecting to because they didn’t try to make this a wrestling match. Just let these two beat each other up for about ten minutes and then let the rest take care of itself. The Wyatts were the obvious ending but at least Sheamus isn’t being treated like a loser for a change. Post match Reigns comes out for the save and is smart enough to Superman Punch Harper as fast as he can. 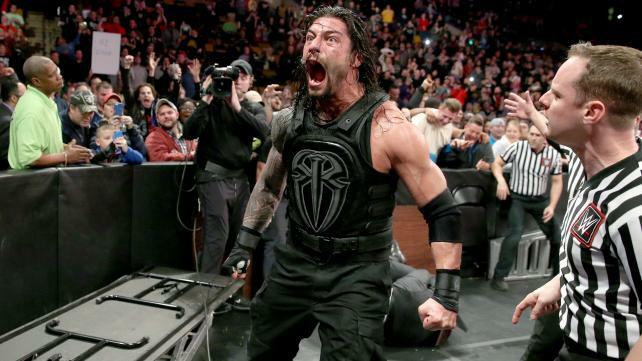 Strowman is waiting for him though and Roman’s right hands have almost no effect. Braun slams him face first into the mat and chokes Reigns out, leaving the Wyatts posing to end the show. 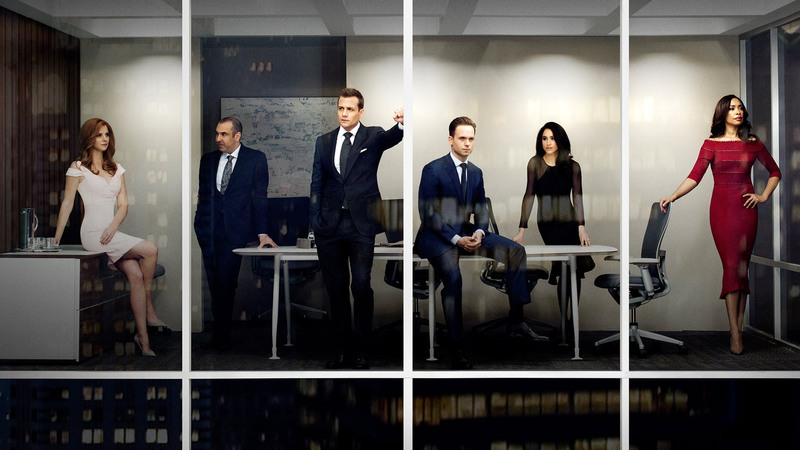 Overall Rating: C-. Standard Smackdown fare here with almost nothing interesting or worth seeing. The ending to the show was the same as when Strowman debuted on Monday and Show is still having issues with Rusev. It’s back to normal with two hours of talking, average matches and nothing that won’t be done on a bigger stage in four days. I’ve been a wrestling fan for over 20 years and, by my calculations, I've seen well over 40,000 matches. This includes nearly every Pay Per View from WWE/F, WCW, ECW and TNA. I’ve seen the vast majority of their television shows and have seen other various matches and shows from throughout history. I may not be an expert but I have a decent knowledge of pro-wrestling and the business in general and hope to show off some of that here. You find me at KBWrestlingReviews online and on Twitter at @kbreviews!